My Mom has a lovely toy tea set from Japan. 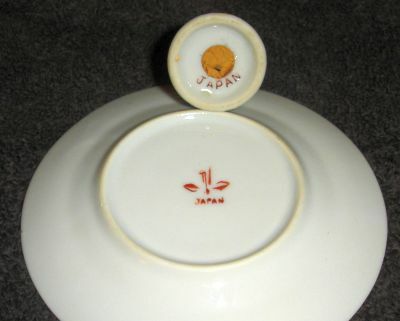 The bottom of the toy tea set is marked with the word JAPAN in red with a red crane design marking over it (see photo). Photos of my Japanese Toy Tea Set. No. 48-4722 & Original Box. I was wondering if anyone here was familiar with this stamp or would know the manufacturer of it. We are thinking it is from the 1930’s but could not find much information about it online. 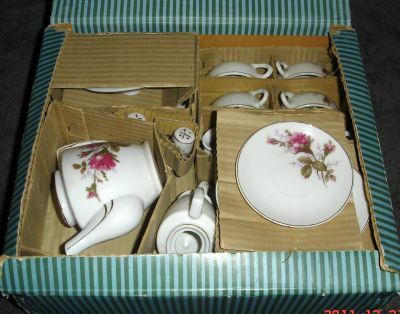 Hi, I have the same toy tea set and have been looking for information on it. I’ve not been able to find much on the internet until I came across your post here. Were you able to find any information on the set that you can share?